# 38: Thanksgiving Weekend! Lots of shooting fun. 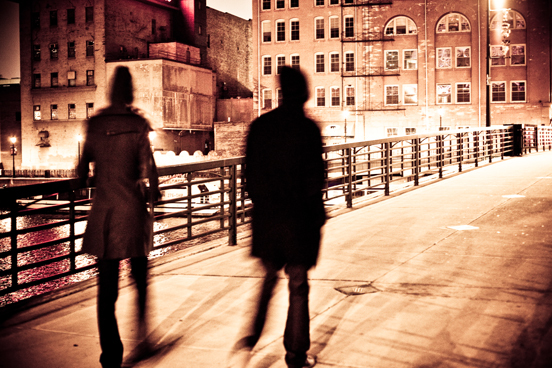 This entry was posted in milwaukee, People, Street Photography, Urban. Wonderful moments. I follow the story that seems to be told. The color scheme is wonderful, especially when seen in a sequence like here. It feels like enjoying a good theater play. Great! HI Roland, thanks so much for stopping by. We as a family went out late night on an after dinner walk in downtown Milwaukee. The streets were so quiet….it is unlike any other night I have know. We just had fun playing with available light and young folk goofing around. I am so glad you mentioned the theatric nature of the shots…that is what I too felt. Very fun. “All the world’s a stage”, perhaps? I also enjoy the color schemes, and had to check to see if you were using the iPhone… Nope! The first image is esp theatrical – like she’s playing a jester! I agree with all the other comments, too. April and Flo, thank you for being here. Stage and Jester are words that came to my mind as well when I saw these images on my LCD. April…very soon……very soon indeed. Would love to shoot with you.